Daniel Spicer interviewed me about my solo work for the latest issue of the Wire music magazine (#350). Included in the two-page feature are some great photographs by Aoife Barry, Zoe Valls and Jedrzej Niezgoda. "I want to pour as much of myself into this very uncompromising, often quite ugly or scary human energy, and it’s so important to me." 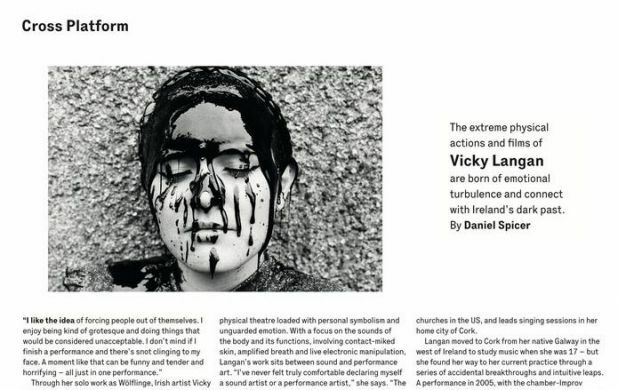 - Aoife Barry talks experimental music and the catharsis of performance with Vicky Langan.